In April 2015, our marine team powered three gillnetters built by Kvichak Marine Industries with Volvo Penta D11 engines. The boats will be used for fishing in remote Bristol Bay, Alaska. 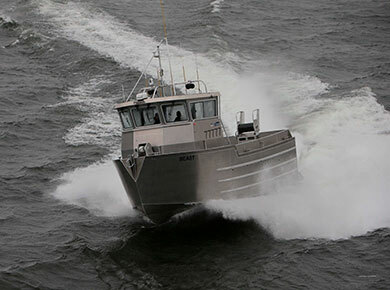 With Volvo Penta D11 engines with electronic controls deliver incredible performance combined with low fuel consumption, low noise and high reliability – each of which is key for powering fishing success in the short Alaskan season. Pacific Power Group support Kvichak with early season delivery and testing in Naknek, Alaska for these three boats, and provided service support to the Bristol Bay fishery in season through dealer Matrix Marine located in Dillingham and Naknek.